Cartoon Network India owned by Turner India has collaborated with Reliance Entertainment owned Gaming Company Zapak to launch Ben 10- Alien Run Mobile Game. The Ben 10 mobile Game is based on a fictional superhero kid who fight against powerful villains with the help of his mysterious watch called as Omnitrix. Drawing from what kids love i.e. Super Powers; Ben 10 – Alien Run promises to capture kids’ imagination through multiple characters, their super abilities and provide edge of the seat game-play experience. “Conquering inter-galactic quests, transforming into powerful aliens and saving the earth from malicious forces, is the very DNA of the popular franchise. 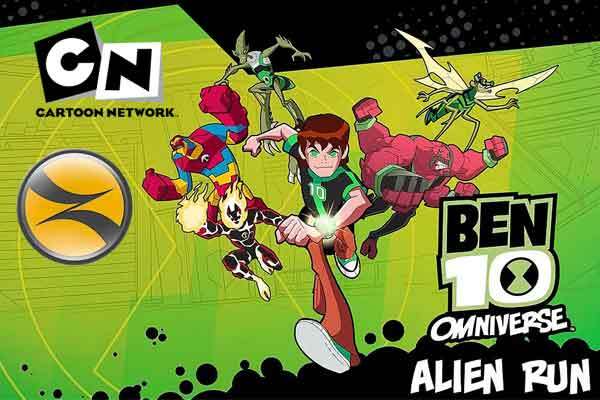 We are delighted to launch ‘Ben 10 – Alien Run’, which combines all of the show’s adventure and fun with Zapak’s capabilities to give fans a great immersive gaming experience,” said Reliance Entertainment CEO Digital Amit Khanduja.